Looking for Black Loc Locs with Fire and flamed temples on the side. 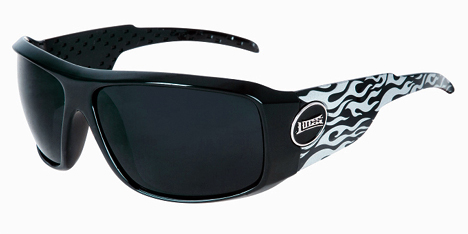 Then jump into some Locs Inferno Gangsta Glasses!!!. Locs Infernos... jump in the fire and peel down the strip... These Suckas are Hot Stuff !!! 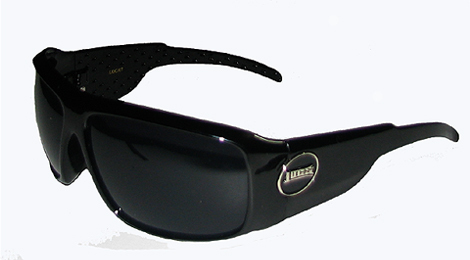 DISCLAIMER: Maximumeyewear.Coms is in no way affiliated with, representing, associated, or sponsored by Chanel, Sunglass Hut, Ray Ban, Nike, Spy, Maui Jim, Gucci, Chloe, Christian Dior, Ralph Lauren, Tommy Hilfiger, Blade, Blade 2, NASCAR, Tomb Raider, Adidas, Arnette, Anarchy, Killer Loop, Charlie's Angels, Bolle, Ralph Lauren, Matrix Sunglasses, Morpheus Sunglasses, Oakley Sunglasses or any other above mentioned name brands or their products. 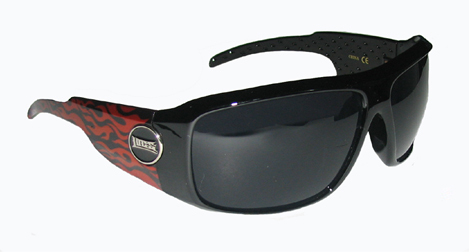 We do not represent our sunglasses to be original nor do we represent that they are exact copies, therefore they do not violate any copyright laws. We simply ask consumers to compare quality & price of the above mentioned name brands to ours. Any reference to brand names or "compare to" are made strictly for comparison.